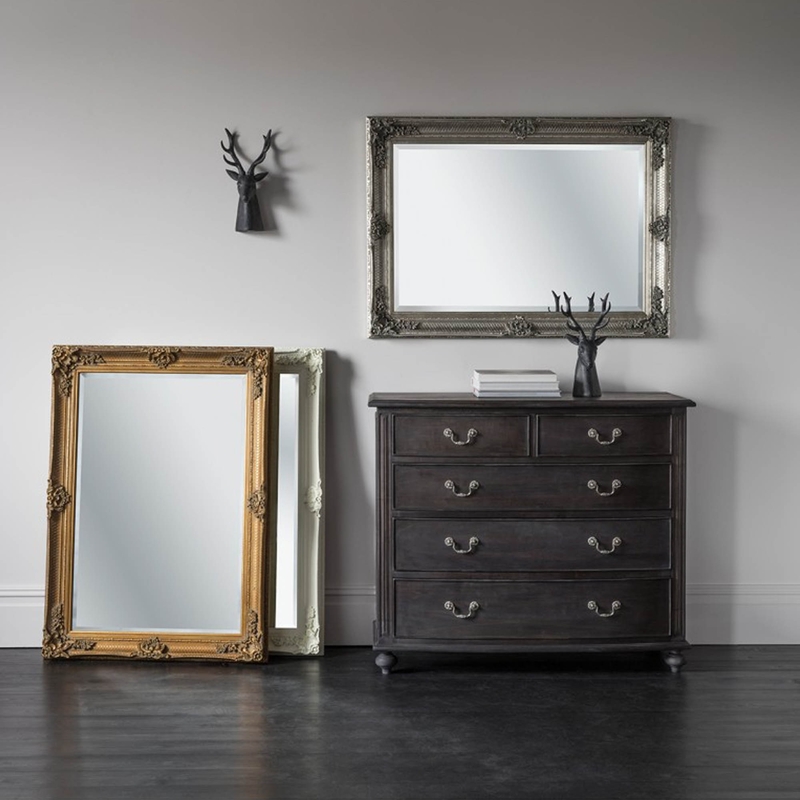 Influenced by baroque design, this elegant cream Abbey rectangular mirror features a handcrafted wooden frame with beautiful intricate carved details. This mirror is perfect for adding decoration to any room you desire thanks to its carefully carved resin frame. This mirror is designed to be mounted to show off its vintage-inspired elegance but it would also look just as elegant if you were to lean it up against a wall instead.